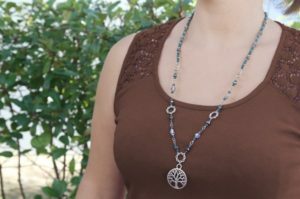 The Bead Spider Petra Amulet Necklace and Bracelet Kit contains all the beads you need, a character charm, a beading needle, beading thread, and a 16 page instruction booklet for you to create gorgeous statement jewellery pieces! 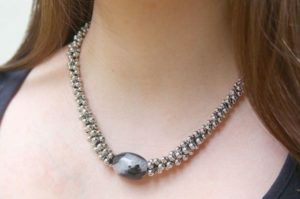 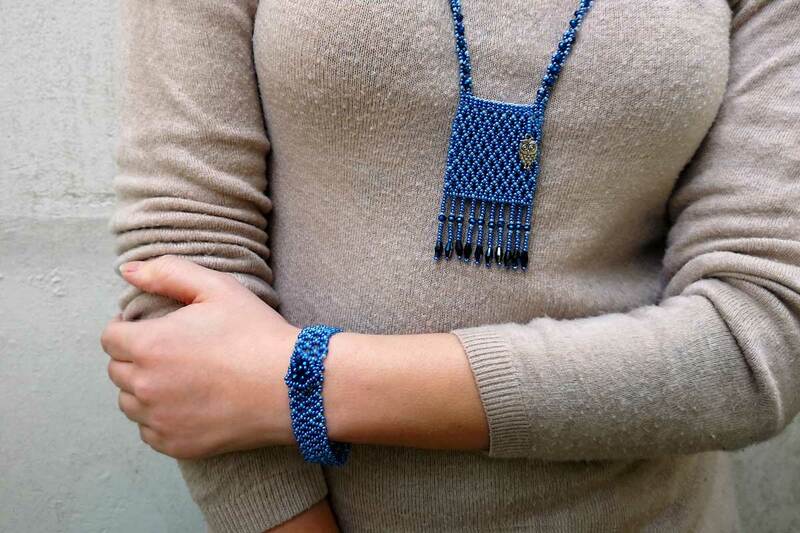 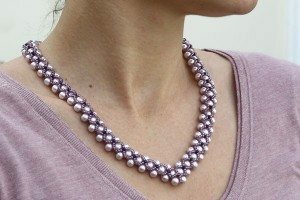 The Petra Amulet necklace and bracelet is made using a whole host of techniques, including netted bead weaving. 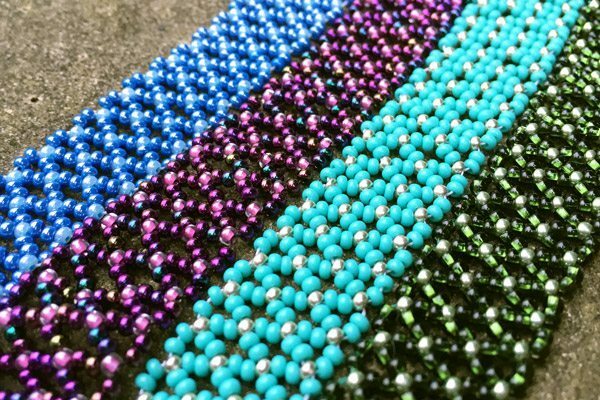 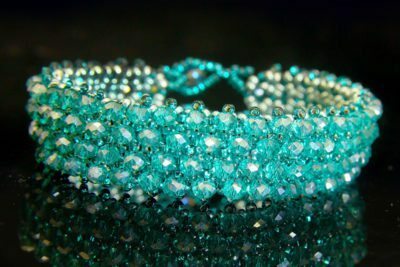 It is the perfect project for building your beading repertoire. 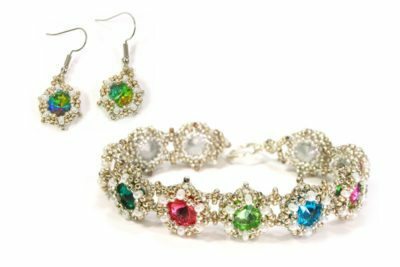 With High quality Preciosa Seed beads interspersed with sparkling crystals, this fantastic kit comes in four spectacular colourways, each with a different feature charm. 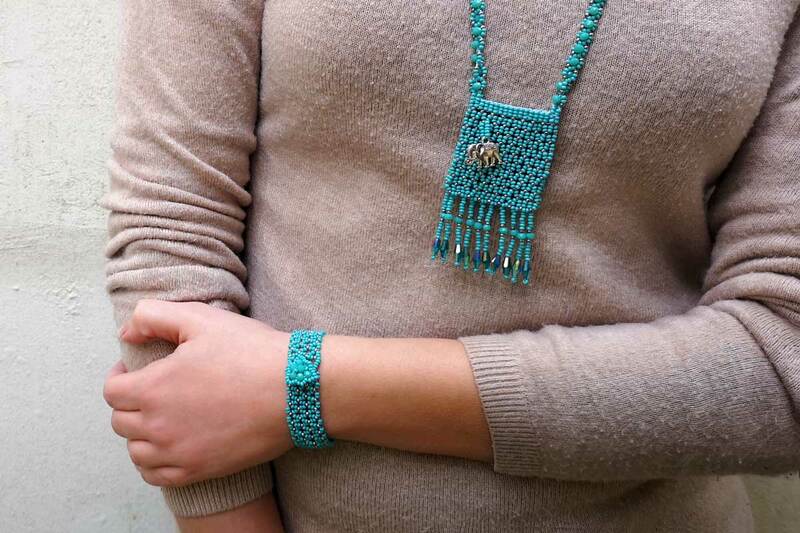 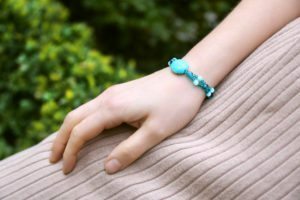 This unique design is perfect for holding anything small and dear to you, things you want to have with you while wearing it. The pattern can also be expanded upon to create any larger bag as well. 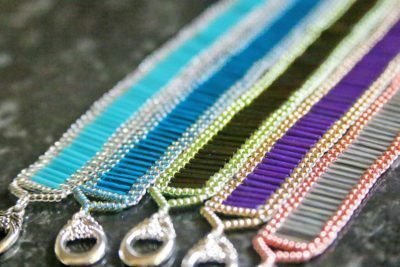 It’s the exact same technique! This stylish and useful necklace and bracelet set will add a great focal point for both your day or night time outfits.